I started this card by taking a 4' x 5 1/4" piece of Neenah and my Round Ink Blending tools and creating the background. I actually started with Simon Says Fog ink, but quickly found that there was some green Mister Huey left on my stencil from a previous project. So that gray background I wanted turned greenish blue. I decided to keep it. Normally it doesn't work that way but it was an ok mistake, lol! Then I heat embossed the sentiment onto vellum and attached the butterfly to the front. I didn't want the vellum to lay flat, so I heat embossed the edges some more so they would curl a little. Then I used some Tombow Vellum adhesive and light attached the vellum to the card front. With my ATG gun, I attached the whole thing to a Simon Says Fog card stock base. To finish it off, I added some white enamel dots. Here is this week's sketch. It is based on a gorgeous card by Kim Heggins. Click HERE to see her original. 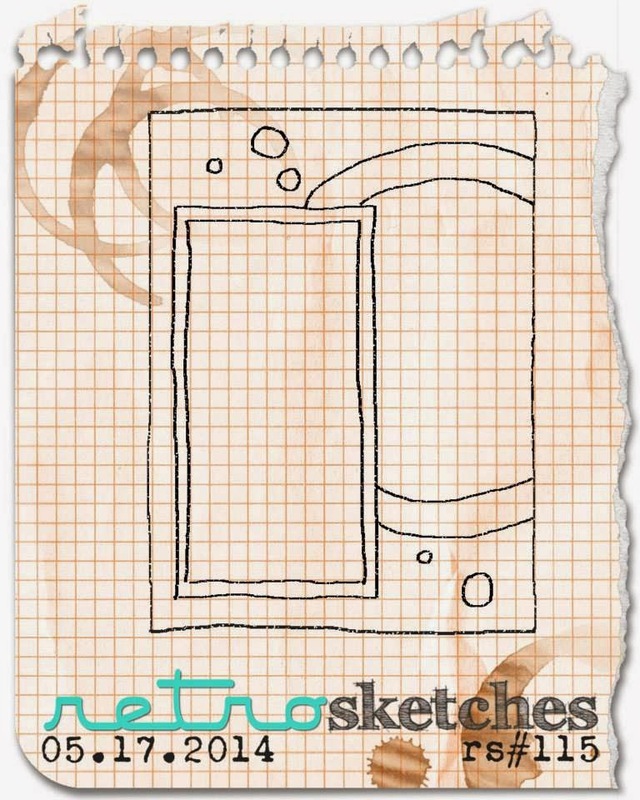 Stop over to the Retro Sketches blog to see what the DT has created for today's sketch and to link up your own card! Thanks so much for coming by today. Hope you have a great Saturday! Gorgeous card!!! I love all the layers! So pretty! I love that soft inking and the vellum!